Stop getting ripped off by solo ads that don't produce results! Every Single Time, from someone with 20+ years of Experience and Success?" So you've probably heard that solo ads are a great way to get traffic to your sales funnel, leads onto your list, and money into your pocket. You've also probably heard that solo ads are the easiest, quickest way to get targeted traffic to your pages, right? Well, both of these statements are true, but chances are..
You've maybe tried running a few solo ads on your own, and the only result you got was a bunch of garbage traffic from someone who happily took your money.. and now you're wondering how you're going to explain, and justify, the lack of money in your bank account..
Well, just like anything, there's a right way to do it, and a wrong way to do it. and unfortunately we all usually start out doing it the wrong way, and we either do this until we get it right (which can be very costly), or we just give up and try something else. What I'd like to share with you, is the exact process I follow when buying solo ads for my own products or my affiliate products. Sound good?? Fortunately, there is a right way, and there is a correct process in doing so..
My name is Geoff Stephen and I've been in internet marketing for almost 20 years now, and I can almost guarantee that I've been where you probably are right now. I've sold millions of dollars in online products and services, and I've built many successful online businesses, including membership sites of over 200,000 members. And I've had much of this success because of my experience in email marketing and buying solo ads to build my lists and make money. As I said, I've been there. But what I've been able to nail down, after my years of experience, is a successful process for running solo ads the right way. And I want to show you exactly how to do this without ending up feeling like you've been ripped off. There is a process, there are steps you need to take, there are questions you need to ask, there are expectations you need to be aware of. In fact, what I'll reveal in my information will include many very little-known tricks that only some of us know when it comes to choosing solo ads in order to get the most targeted, profitable, buyers-only-traffic to your pages and onto your list..
..and believe me that is exactly what you want. SoloAdShortcuts is a course that I created, that contains 5 modules packed with exclusive video training and must-know information on the whole solo ad process. What "real" solo ads are - and why they're probably quite different than the ones you may have already been buying..
How to find legitimate solo ads - from people that actually want you to succeed with your marketing (common sense, but NOT common). How much you SHOULD be spending "per click" (and how much you should NOT be spending). The big "mindset mistake" that new solo ad marketers make - that prevents them from seriously growing their list quickly (and how to avoid this mistake instantly). What the ULITMATE reason is for buying solo ads, and how this is probably the complete opposite of what you've been taught in the past by other "marketers".. The "secret" traffic-tracking "hack" that makes sure your traffic is exactly the kind of traffic you want to receive, and how to maximize your revenue from it. What the perfect solo ad offer is for you - and why solo ad sellers LOVE it when you make your offer (which, of course, gets you BETTER traffic). The 4 types of offers that will make solo ad sellers (and your leads) run the other way screaming! (You should probably avoid these :). The 7 "ESSENTIAL" questions that you need to know the answers to before you send your hard-earned money to someone for a solo ad (IMPORTANT!). What you NEED to pay attention to immediately after you purchase a solo ad (and why your advertising future DEPENDS on it). The 5 Top ways solo ad sellers will try to scam you by stealing your money, wasting your time, and wishing you never even heard of solo ads﻿ (and why you'll never fall for them:). What the "minimum" number of clicks is to buy in order to really see how well (or how poorly) your offer is performing. Exactly how to determine when and how often to run your solo ads for maximum profitability (most newbies really screw this up!). How to get more QUALITY solo ads even if you don't know where to look﻿ right now! PLUS. Everything ELSE you need to know before running your next solo ad. In fact, module #2 is called the "Need To Know" Video, which contains information that every marketer should be aware of before buying a solo ad. Very important stuff that will save you tons of time and money, and help you start making money right off the bat. 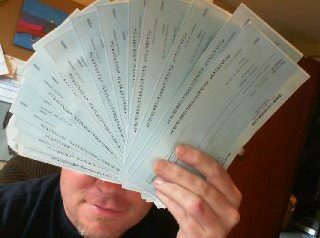 Who else wants this many commission checks to cash each month..?? TRUTH: I've saved thousands of people, tons of time, and lots of money by putting them through this exact training. It's simple, easy, quick, but if you don't know what you're doing, you might as well throw your money away. Click on the button below and you'll have instant access to all of my training 24/7. I always tell people that they need to decide to be successful, so I'll tell you as well, decide to be successful at this, click the button below and we'll see you on the inside. Yeah, of course there's more..
My "3 Simple Tricks" video training on how I get 78% MORE of my emails opened and READ! My "Perfect Lead Followup" strategy training! This is the EXACT followup email I personally send to my leads that gets them instantly engaged with what I'm promoting, and draws them into my sales process quickly and smoothly! Plus video training on how to use it and why it works so well..
My personal "Solo Ad Rolodex"
Wanna know where the pros get their solo ads? Of course you do... and I'm giving away my personal solo ad rolodex to you as a bonus! Cool, huh? Purchase SoloAdShortcuts (below) and I'll make sure all bonuses are available to you in your backoffice! Click the "Add to Cart" button below to get instant access..
All bonuses now 100% included at this price! I look forward to watching you reach the same levels of success that I have. What you're looking at here is the QUINTESSENTIAL GUIDE to using solo ads to "successfully" build your list, build your influence, and make MORE money. There is nothing out there that comes close to the information contained herein, based on my 15+ years experience in internet marketing. P.S. This offer probably won't last that long because usually I charge between $200-$1000 per hour for this type of consulting, and the price of this product is WAY below what you should be paying for this type of information.